Naghars  are Ghurghast Afghans being descended from Naghar, one of the four sons of Danai, son of Ismael, nicknamed Gurghast and so akin to Kakar, Dawai and Parnai. Naghar had two sons, Younas and Wamas or Dumasht. Younus had six sons, Palkat, Mian Khazo the saint, Matro or Mataro and Chendran or Chandro while the names of of two other sons are not known. Likewise, Wamas had six sons, Bihzad or Bihrand, Trak, Randak, Salin or Salataey, Silanch and Abdur Rahman. The Naghars appear never to have been very numerous, probably, less than 10,000 families at the height of their prosperity. They once held all the hill country from near Nigaha or Sakhi sarwar pass to the south comprsising the Southern parts of the Koh-i-Siyah or Suleiman range, where it trends to the west and is much mixed up with lower ranges of Koh-i-Surkh or red range. On their west and north they had Kansi Khitrans and the Mianas respectively. 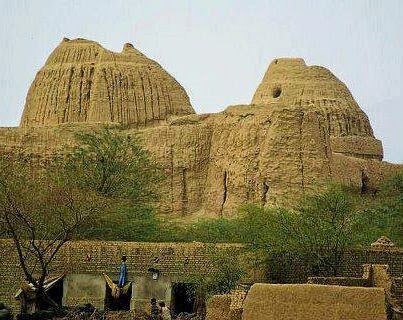 To the south they had the plains of Kachhi and Indus valley and in their east they had the tracts of Panjnad of Multan district and the hill tracts now in possession of Bozdar, Kasrani, Khosah, Leghari, Lashari, Bugti, and Mazari Balochs. At the hieght of their prosperity , the Nahars spread east and south into plains of Indus valley, and they are said to have once held the tracts around Harrand, Siwi, Sitpur and Kindkot. The Naghars had occupied some of the plains of Balochistan earlier than the Pannis. According to "Tarikh Nama-Herat of Saifi Haravi, in the 13th century AD, this tract from Mastung to Quetta to Duki (through Sibi) to Rojhan Mazari was an integral part of history's first Afghanistan state with Mastung as its capital. Then the Naghar and Kungs or Kangs were powerful predatory tribes in the Siwi-Rojhan area. The Kurt-Mughal forces referred to these gangs as "Afghan thieves". Abdul Aziz Luni, on the authority of old Hindu traditions state that old Sibi fort used to be called 'the fort of Kangu-Nari people'. As a dynasty Naghars rose to power under Islam Khan Naghar during reign of Bahlol Lodhi, who had charge of southern parts of Multan province including Sitpur , Muzaffargarh, Dera Ghazai khan and Kashmor in Sindh, all then on right bank of the Indus. 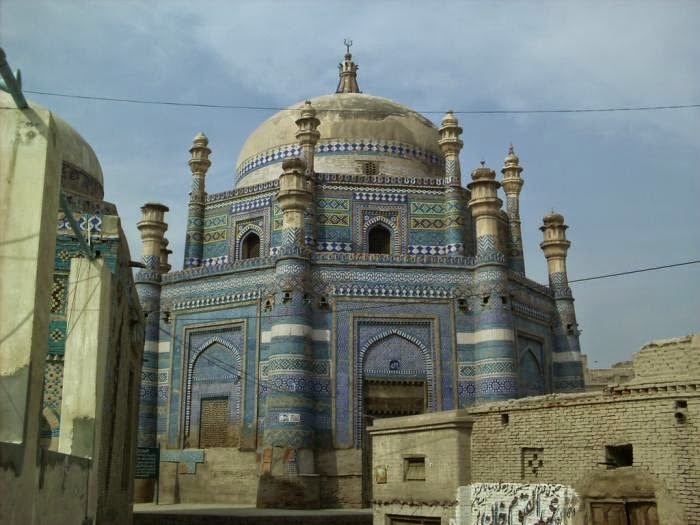 He cut himself adrift from Langah at Multan and set up an independent government at Sitpur. But the Mirrani Balochs came soon into conflict with Naghars who had extended their dominion North-ward from Sitpur over Harrand and Dajal, but were expelled from those tracts by Ghazi khan in 1482 A.D. The Naghar territory thus diminished was soon divided between Kasim Khan , a grandson of the first islam Khan, who held the southern part and resided at Kin ,and Islam Khan his brother who held the northern, with Sitpur as his seat. Kasim Khan developed a feud with Islam Khan. The former invited and allowed the Mazari Balochs to settle on his territory to form an alliance with them against Islam Khan. Mazaris expelled the Naghars from Kin in 16th century and the Nahars of Sitpur fell into decay about the same time as as the Mirranis i.e about 1789. Makhdum Shaikh Rajan , founder of Rajanpur and chief of Mirrani Balochs, usurped part of their territories and expelled them from Sitpur in 1739. 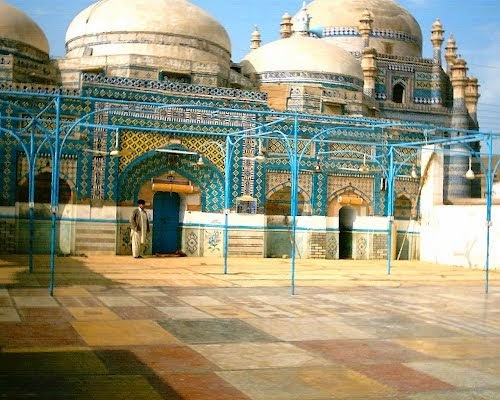 When Nawab Hafiz Rehmat Khan Barech wrote the account of Afghans, the remnants of the Naghars were still present in the tracts between the Kakars and the Sindh Balochs to the west of Dera Ghazi Khan, between the present Khetran's country. One of the Naghar bulit a fine tomb in his life time which still exists. His name was Tahir Khan , named Sakhi. Another named Ali Khan, founded Alipur. During the time of the Mughal emperors, one Abdul Fateh Khan, a Naghar chief, from Afghanistan to Harand. On the recommendations of governor of DG Khan, he was appointed as the governor of Harand. Since then his descendents have remained there. 1. Some writers confuse Naghars with the Nahars, a section of Lodhis and also with Nahar Miana Sarabanis. 7. Younis Khan's mother , princess Hakim Khano was daughter of Emperor Bahlul Lodi. His father was Eidal Khan Naghar.